Cyril Alfred Spencer Buck was a son of Mrs. Janet Buck, and the late James Boden Buck, of Portsmouth, Hampshire. 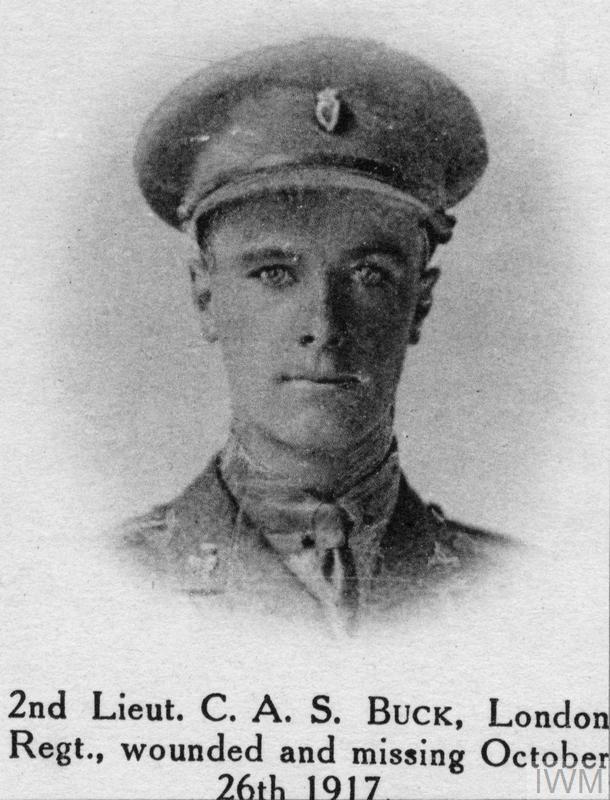 Buck was promoted to 2nd Lieutenant on 30 May 1917 from the Officer Cadet Unit. He was awarded the Military Medal. He had no known grave and is commemorated on panel 152 of the Tyne Cot Memorial.